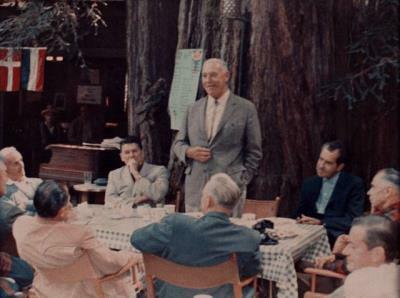 The Bohemian Grove located in the redwoods of Monte Rio, CA hosts in mid-July each year a two-week encampment of some of the most prominent men in the world. Ex-Presidents, CEO's and VIP's from around the world are the only invited to attend. Under high armed security the spectacle has taken place for over 100 years. Whet goes on in the grove in the deep redwoods is not completely known. 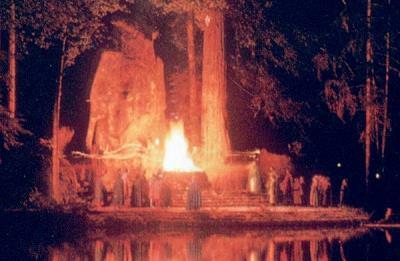 What is known thanks to a year 2000 infiltration and recording by Alex Jones is a ceremony called Cremation of Care where they hold a mock sacrifice to a 40 foot owl called "Care". This type of behavior is nothing new and can be traced back thousands of years even pre-biblical. Factually, most politicians if not all are secret Freemasons and according to their own literature are a revival of the ancient mystery schools. 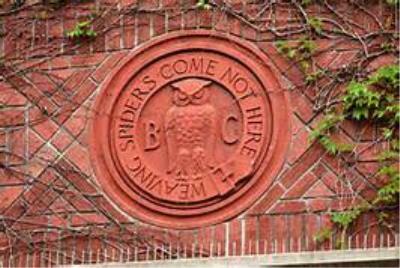 Yes it's so normal to do fake human sacrifices to a 40 foot owl - and God knows what else. Yet this is what the elite controllers of the world do among other nefarious things under the cover of darkness and secrecy.